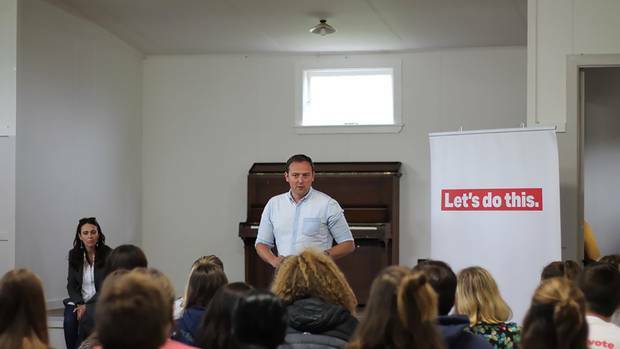 The Labour Party will implement the recommendations of a report into allegations of sexual assaults at a Young Labour summer camp at Waihi, including that events are supervised and a policy on alcohol is developed. Party president Nigel Haworth said Labour had received the report by Maria Austen into the allegations at the camp in February and he, along with external experts, would work to implement her recommendations. Austen, a Wellington lawyer, was brought in to lead the external review of party procedures following the alleged incidents at the summer camp. A 20-year-old man has been charged with four counts of indecent assault over the allegations. The Labour Party came under fire in March when details emerged of the camp and allegations of assaults of four young people, all believed to be just 16, became public. Labour MP Liz Craig was at the Waihi summer camp, but was asleep when the alleged offending took place. Prime Minister Jacinda Ardern had spoken to the group earlier that day. Ardern said at the time there were parental consent forms, but they did not protect the young people at the camp - which is why Young Labour would not be running the camps in the future. • Incorporate updated event registration and parental consent & risk disclosure information requirements and forms to ensure compliance with current best practice and all legislation relating to the care of minors when participating in party-held events. • Ensure at least one Labour Party representative should also attend the entire event and be available throughout (solely or jointly with another nominated adult supervisor) to ensure compliance with safety and welfare expectations and the Young Labour Party should also nominate a welfare officer to attend all events. • Introduce a new open complaints process to enable complaints to be received and responded to without delay and with the appropriate degree of specialist advice.